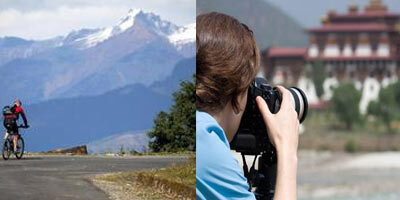 Our team includes dedicated travel professionals who have experience of more than 20 years in the industry. Here we have presented some of the reasons why as a tourist you can trust us for your holiday in Bhutan. The itineraries are designed specific to your requirements, all you have to do is let us know the number of days that you allocated for the tour, what excites you more... Monasteries, Treks, Bird watching, photography, Cycling, etc, We will design an itinerary keeping in mind these factors and ensure that your interests are taken care of. Majority of the hotels that we promote follow the traditional local hospitality parameters and give you sense of experiencing the local living in a comfort and a luxury zone. Vegetarian meals, Senior citizens, specially abled persons, any other details that you want us to work on, Please let us know in advance and our office in Bhutan would be designing the itineraries and would work on these special details to ensure that you have a memorable stay without any hitches. Our prices our extremely competitive and we do not believe on cutting corners on a holiday designed for our guests. The most important aspect of traveling is to see the destination with own�s prospective, there would be sufficient time in between the activities and the sightseeing to do your �own� thing. The local guides and chauffeurs appointed by us are licensed by the authorities, educated and well mannered. These guides are trained to show you Bhutan in a manner like no one else.